ENDED! WE WON FOR A RIDICULOUSLY CHEAP AMOUNT! In case you missed my previous post, the Delicious Burger King GA has arrived, I checked it, reattached all the tags, and weighed it. Tomorrow I'll put up photos and payment totals. Basically you guys won't be disappointed with your plushies! I'm going home on Monday, where I will be a postal ninja and get everything sent this week. Anyway, I was on the way to bed and spotted this pretty special lot! Every BK toy released in 1999! All 58! Also almost all of the 151 cards! All toys are new and working apart from Raichu and one of the talking pikachu. - Sales was permission granted by Dakajojo in June 2011. - Sniping (bidding in the last 15 minutes) will extend the timer for the item being sniped by one hour. So without further ado, onto the goods! This is just a reminder that the Zukantastic GA ends in a little over 24 hours! We're doing pretty well so far.. but we also need to be prepared for an all out bid war in the final minutes of this auction. There are many listings that are still at their starting bids or with no bids at all, so be sure to take a look before time runs out! Click either here or the image to be transported to the auction! Yep yep! This ends in about 11 hours or so. :3 Just a little reminder. I'm seeking for the older release velboa ver. I'd like him to have at least the tush tag and condition not too loved (pilled). MWT would be highly favoured! I'd like them to have the charms whenever possible. Since it's the Chinese New Year's holiday this upcoming Monday and Tuesday here, all parcels from my latest auctions will be shipped on Wednesday-Thursday. Sorry for the inconvenience! 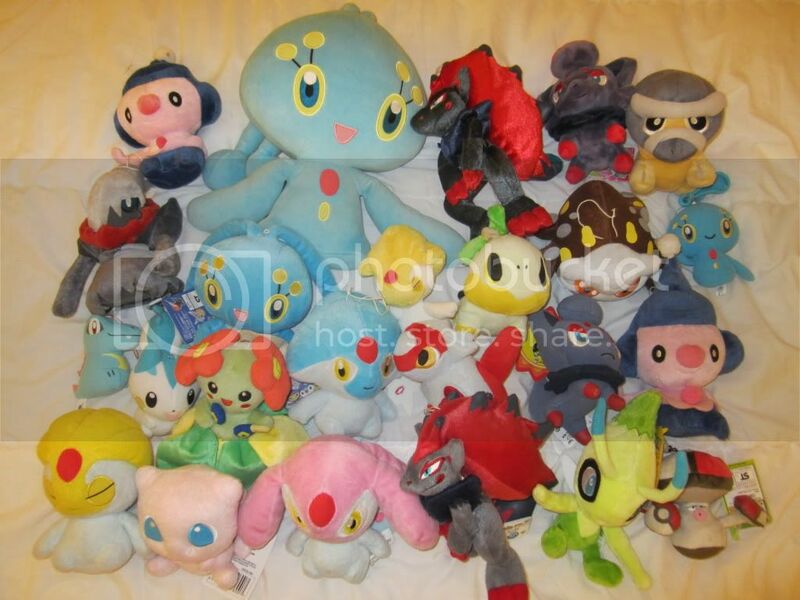 I only collect pokemon plush that I like. These are the ones I have so far. I finally managed to get a porygon2 plush. All I need is to get the keychain porygon2 plush. I also managed to get Pansage and axew plush. When I first got porygon2, which was on January 20, 2012, I felt excited just like when I got the four inch kecleon plush from ebay back in 2008. I got the porygon2 plush from Y!Japan and used treasure japan to bid on it since the seller only ships in Japan. Hi! I'm Llarma and i've just joined the pokemon collecting scene. My favourite pokemon are Cherubi, Deino and Mew. 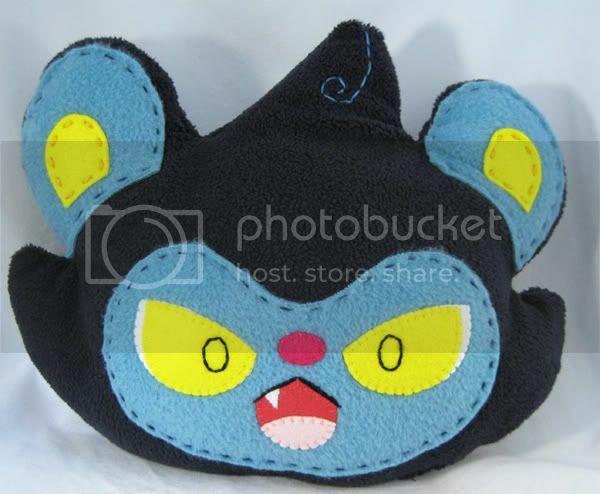 I love Pokedolls, but unfortunately I haven't come across one yet. In fact, My current collection contains only 3 plush (And I'm pretty sure that one of them, the cherubi, is a bootie) And a few old cards. I used to have a few good cards, like the holographic charizard (I feel like such an idiot for losing it now! DX) and Latios Star (I got it in a booster pack from the official UK pokemon club I used to go to with my best friend and I still have it! But its in TERRIBLE condition TT-TT) But my brother found a good trading card website in the UK, which i would post, but im not too sure if it's allowed. Anyway, I hope to make friends here. my package have finally arrived!!!! and now its finally here!!! I've got two things I'd like to send your way... cards and a cool little Eevee pouch thing! But behold!! Still i got a couple of nice high-priority wants during winter "vacations", so without further ado, this is what i got!!! I hope to get a job soon, so i can waste my money properly here. Im here today wanting to buy some awesome TCG Binders and portfolios. 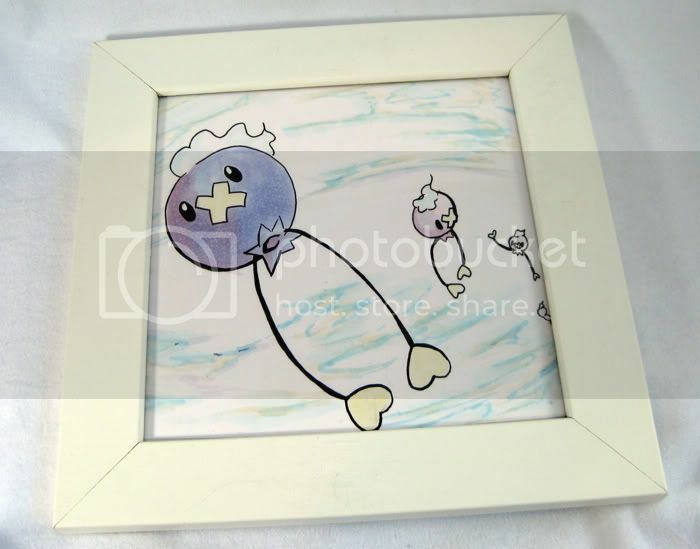 I thought I could pick some up at the poke center in Japan, but their stock was measly and I was quite disappointed, so I have to turn to you guys once again :) I've seen some from online shops, but shipping is absolutely ridiculous to Singapore, but I come with some pictures. Edit: I've heard some negative opinions of the quality of these binders, even if you're not selling, but you've used them before, could you tell me if its worth using :) Thanks! These are only some I've seen, I wouldn't mind anything that looks nice actually :) So throw em to me, i'm looking to buy a few as long as shipping doesnt cost too much. Lastly, a note that my zukan auctions will be ending in 2 days. Click the link: http://donny9.livejournal.com/551.html to get to the auction. Long time no post - I've been busy traveling the world for charms and other Pokemon goodies (literally)!! Unfortunately my lovely visit with denkimouse was much too short and I'm already settled back at home. 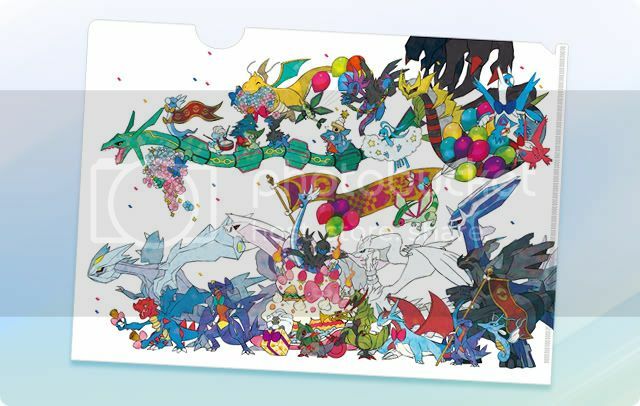 This auction will be for a Year of the Dragon clearfile that already sold out in just a few days!! 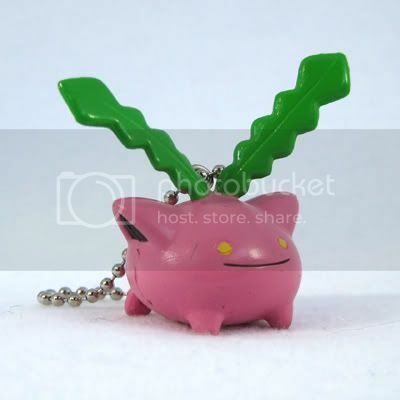 ♥ It's brand new, straight from the Pokemon Center, and will be shipped from the US. 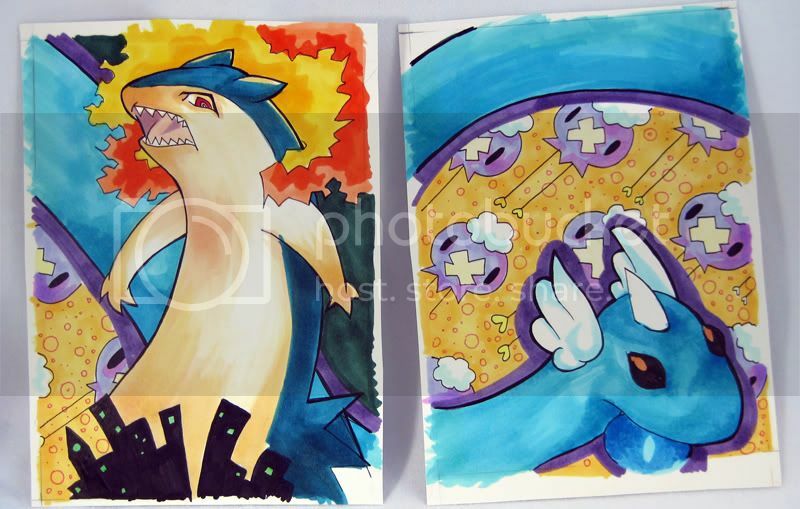 ♥ Please only bid if you have the funds to pay on Paypal!! Payment is due within 3 days of the auction ending unless you worked something out with me before you bid. I'm a University student living near Sapporo in Hokkaido, Japan. I often go to Pokemon-Center Sapporo. Last year, I find this community and LJ, and I was reading to translate this. I like to look a collection of all. And this commuity looks interesting, because I post this time. Now I studying English, Please excuse my poor English. My favorite Pokemon is Oshawott/Mijumaru! so I'm collecting Oshawott goods. I took pictures of my collection this time, please look if you like. However, there is some paint on his belly that's preventing me from reading the copyright imprint. 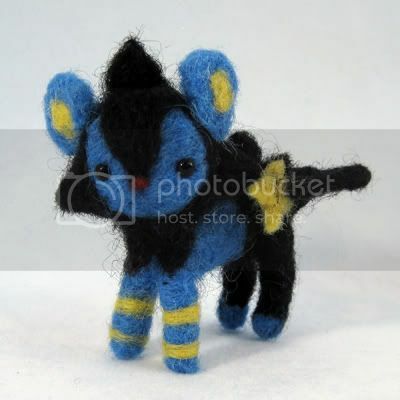 What year was this Suicune made!?! 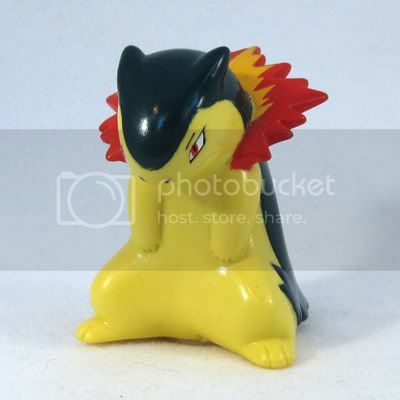 I have the Raikou and Entei and can read them just fine, but I can't for the life of my find out the year of this little guy! Would anyone be interested in claiming any of these cards if I did a Group Buy? I would be claiming Mew. If all three cards are claimed, it would cost $18.50 per card plus shipping from me to you. 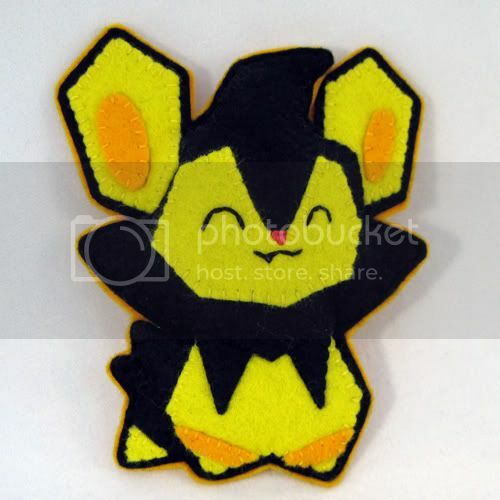 And...since I'm posting, does anyone happen to have Leafeon or Glaceon from the Zekrom/Reshiram EX decks, Luxray or Cinccino from Psycho Drive, or Raichu or Arcanine from Hail Blizzard for sale/trade? 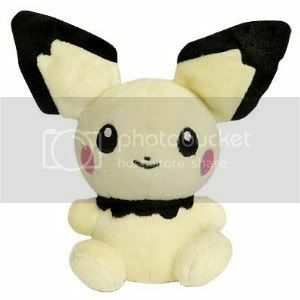 Or....a Cinccino TOMY plush? Hello again! I have a few things that I've been looking for recently and was hoping maybe someone could help me! 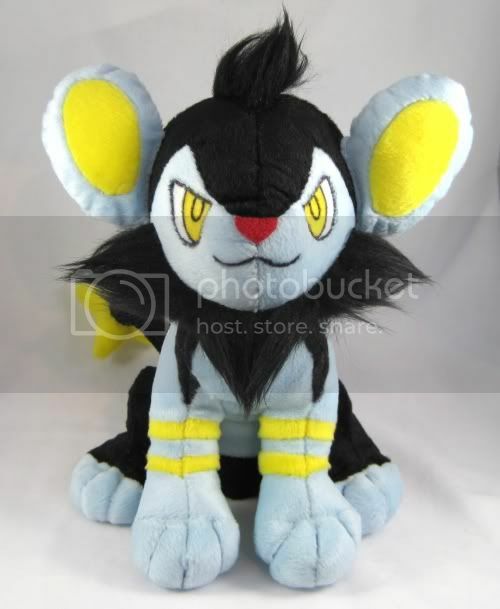 First off I'm trying to find a vulpix and an arcanine plush or figures for a friend, I've found it relatively difficult especially the plushes. 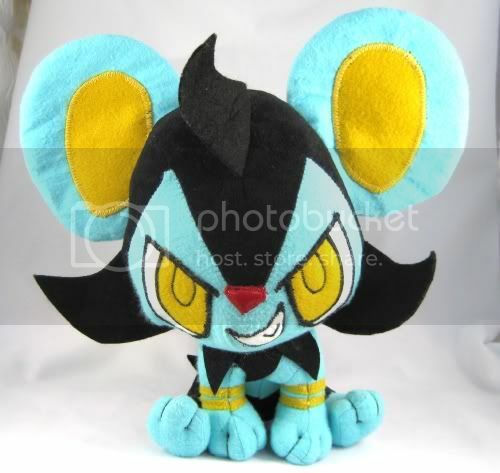 I don't want to spend a whole lot of money especially since shipping to AU can be pricey on top of the price of the plush, but I don't really trust ebay especially for things that I know are kinda difficult. Also if anyone has any ceramic stuff they're willing to part with (bowls, plates, cups, whatever) I've seen a few in auctions and sales posts but seem to come just too late! Hey guys, long time no see! I bring delicious items for sale to you today :3 Sales permission has been granted back in around 2007-2008. Great feedback is here! 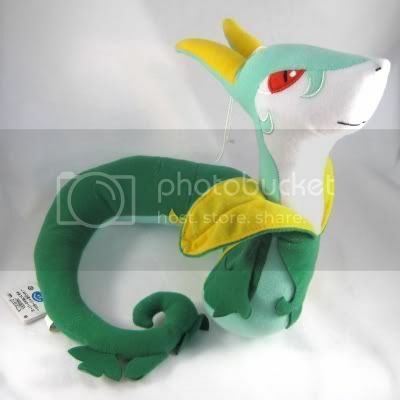 I'm parting with many lovely items from my collection; including my Luxio poster, lifesize Snivy plush, many custom Luxio plush and rare official items, Typhlosion coin bank, and... lots of lovely rare items, really! Take a look! Let's play everyone's favorite game- Legit, Bootie, or Reject! At my local mall there is this anime/Japanese goods store that sells a mixture of 100% legit, semi-legit (think Groundbreakers type stuff), factory rejects, and outright fakes. 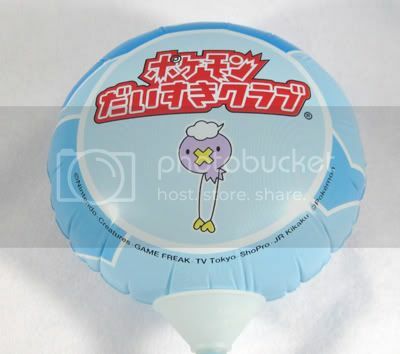 So when I found standing TOMY Glaceons and Leafeons there today, I deliberated on buying one for a good 15 minutes because I really had no idea what I was getting. That's where you come in! These things are pretty rare, so I'm having a hard time finding good, detailed photos to compare mine against. Please lend me your expertise in figuring out this snowy fox's true identity. Thanks guys for answering my questions. :D I am so crossing my fingers its legit... but I know better than to get my hopes up! So, without further ado… time to share! Be warned, it's quite long and image-heavy! Large Sleepy Gizamimi Pichu for auction! These large and adorable guys are up for auction with a BIN! Apologies for the delay! I have been forgetful today! Here is the spreadsheet for the final payment: Linky link! All items paid for in time will be posted on Tuesday, then Friday. PLEASE NOTE THE PAYPAL ADDRESS HAS CHANGED! And you MUST put your username in the payment memo. Now for some clearance sales! All figures in this photo are $2 each before shipping, unless otherwise marked! Items marked with a blue star are $1 because they are slightly damaged, or Bootleg (squeaky Snorlax and Fake TOMY Absol). Items ringed in red or X'd out are not for sale today. Bigger pic under cut! I ship from the UK, postage to the USA starts at $3.50 for one figure and is the same for about 5 kids, heavier figures may change it by a few cents. I can give quotes. These will be posted Tuesday morning if you pay before then, Friday otherwise. P.S. : I'm always willing to haggle a little! To start with I have just listed most of the Kids and miscellaneous figures I have remaining on Ebay. I also have tons of Japanese flats (cards/stickers) which I will be selling shortly. There are thousands of them, and I'm not going to sort through them all individually. 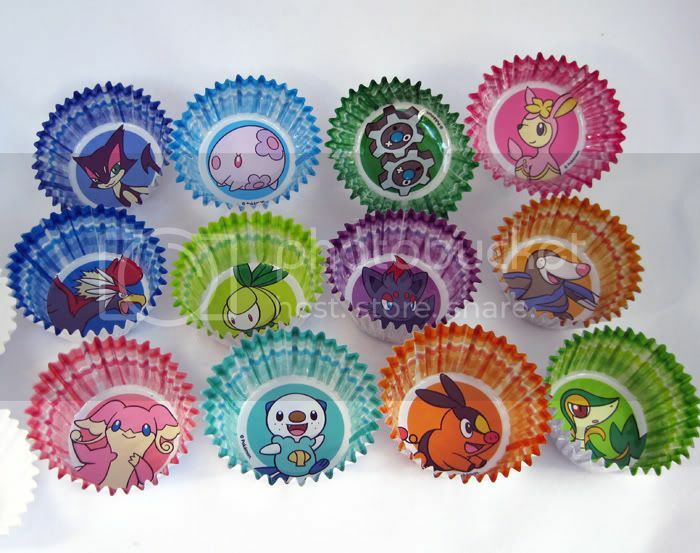 If anyone is interested in grabbing a random assortment of them in box or an envelope, please let me know. If there is enough interest, I will put up some photo samples to give you an idea of what I have. :3 Thanks for reading!